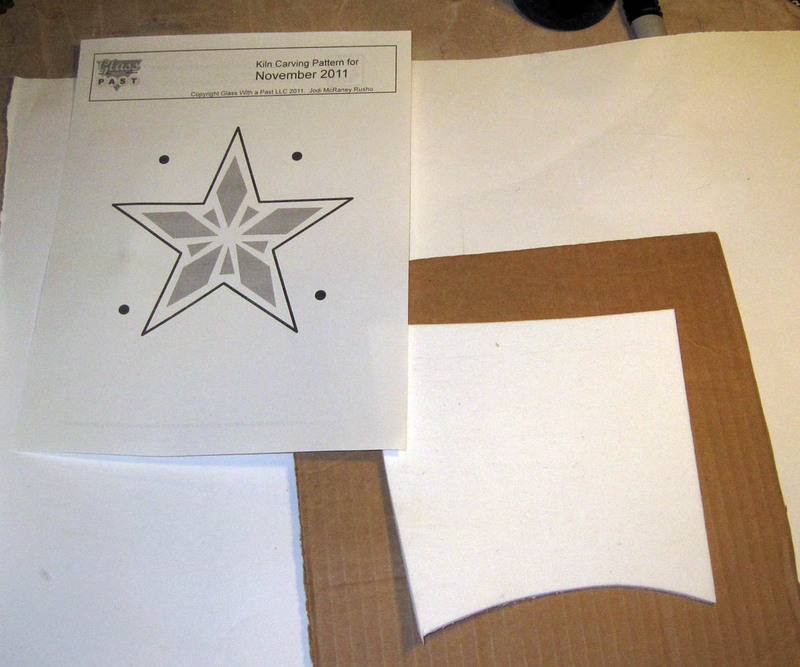 Step 1: Cut a piece of fiber paper large enough to fit the pattern. I used 1/8″ thick for this particular project. 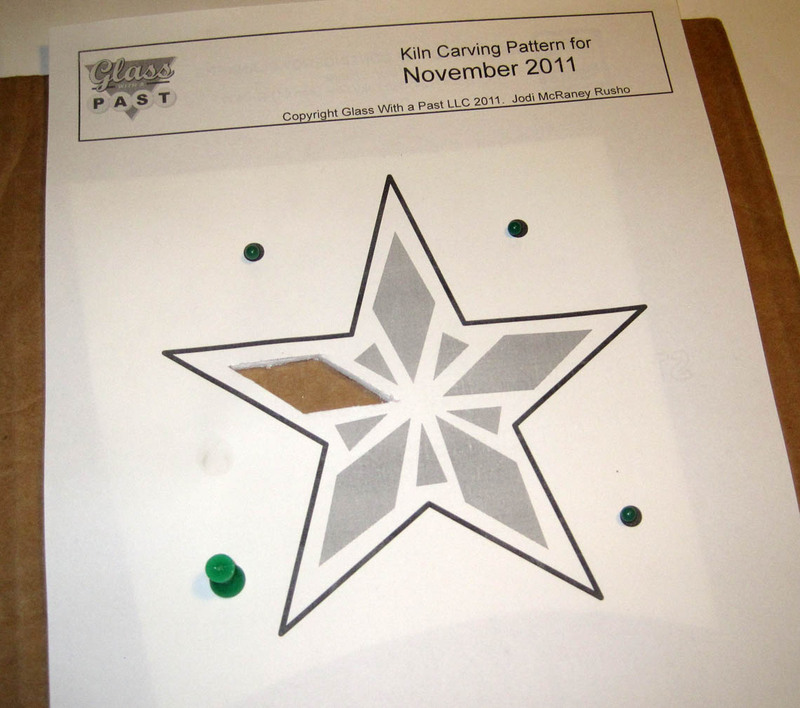 Step 2: Insert tacks through the black tack dots. Using a very sharp razor knife, remove the gray areas. Cut around the solid black line last. Carefully! 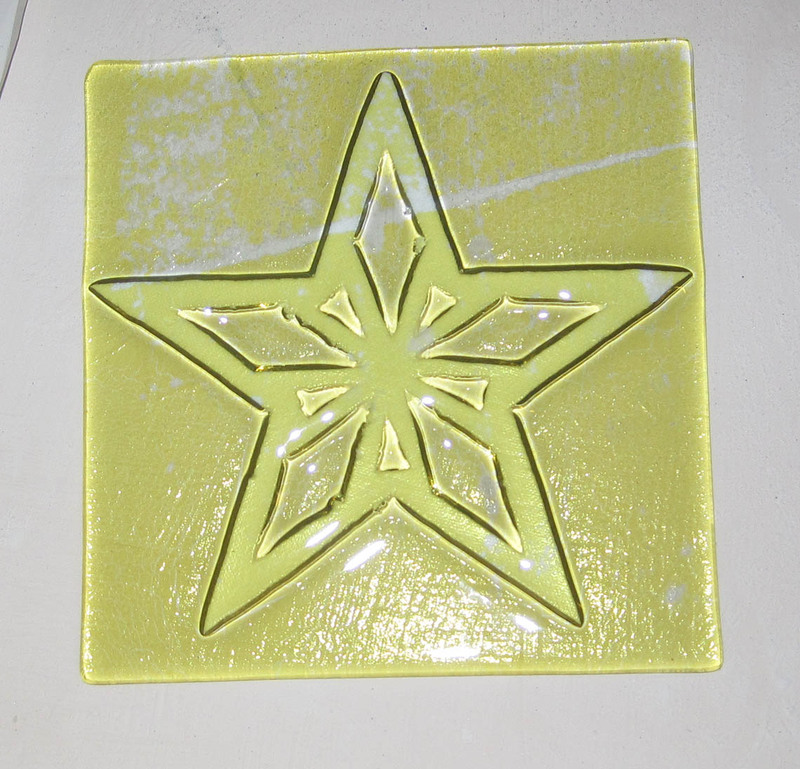 Step 3: Finished fiber paper cut out, now put it under a nice piece of glass in the kiln. 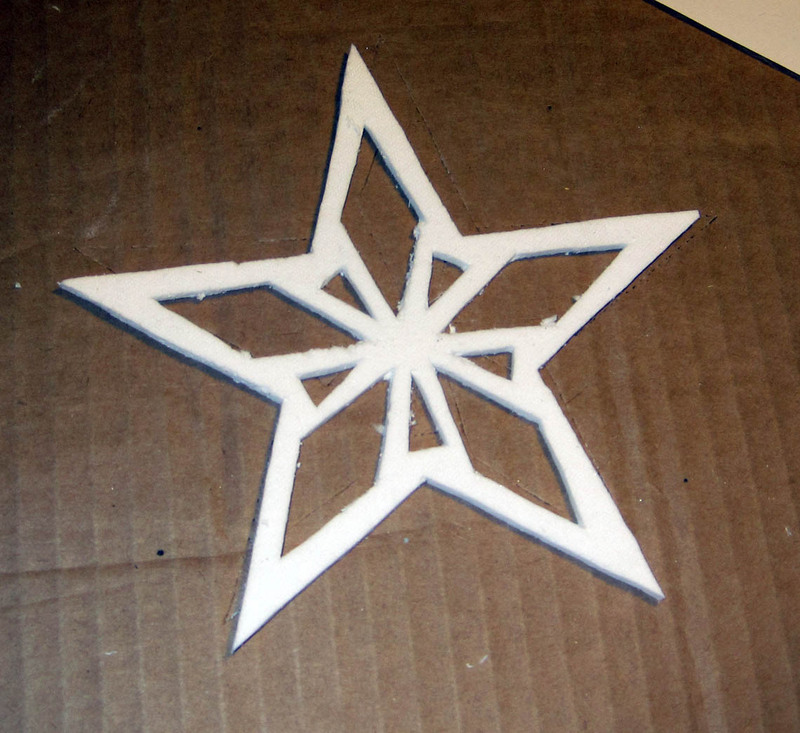 Fully Cut out kiln carving pattern from fiber paper. Step 5: Fire! I do have some suggested firing schedules if you aren’t sure where to start. 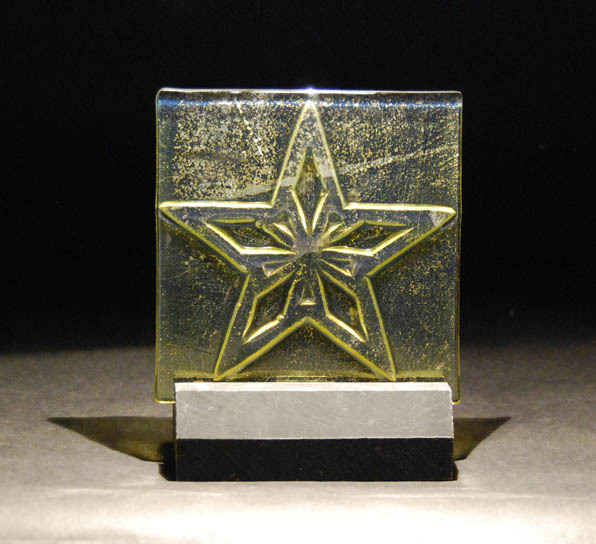 Fired Glass over Fiber Paper. I love how you make this up…Very creative!! I can’t wait to try this. It gives me so many ideas regarding making some of these slumping things. Thank you for generously sharing so much information.